She Writes Press, 9781938314728, 247pp. 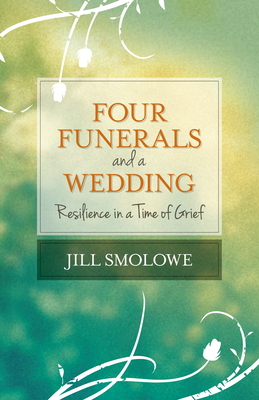 In Four Funerals and a Wedding, Smolowe jostles preconceptions about caregiving, defies cliche's about losing loved ones, and reveals a stunning bottom line: far from being uncommon, resilience like hers is the norm among the recently bereaved. With humor and quiet wisdom, and with a lens firmly trained on what helped her tolerate and rebound from so much sorrow, she offers answers to questions we all confront in the face of loss, and reminds us that grief is not only about endings--it's about new beginnings.